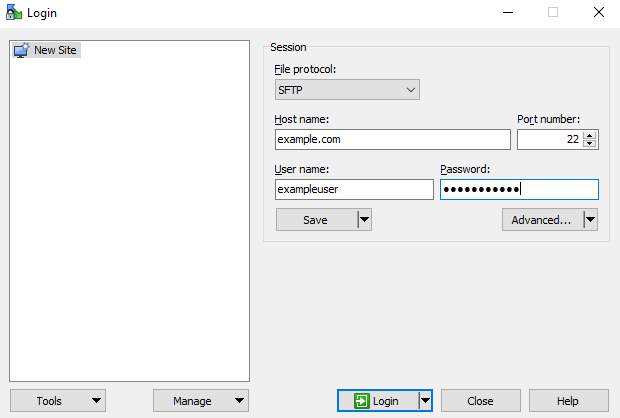 Visit the SFTP Credentials article to retrieve your SFTP credentials to connect. Click the Advanced button below the password field. On the left under the 'Environment' category, select the 'SFTP' option. 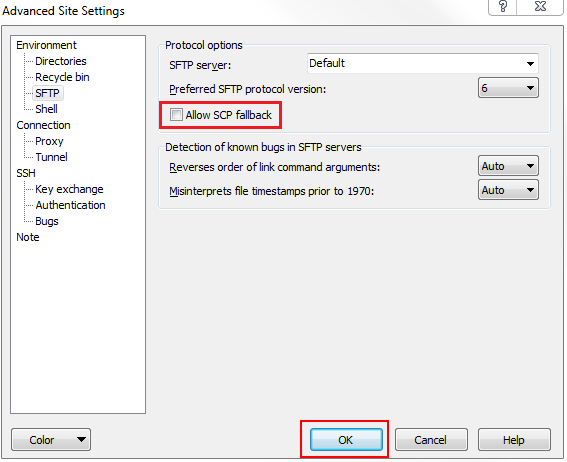 Make sure the 'Allow SCP fallback' checkbox is unchecked. Click the OK button to go back to the WinSCP window. 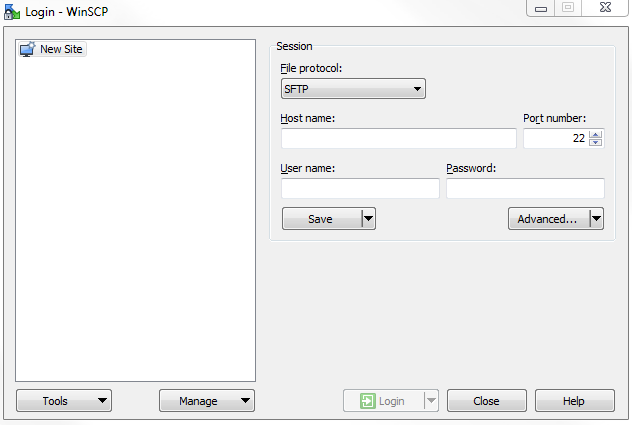 Click the Login button to connect via SFTP. You should visit the 'The server's host key is unknown' article for instructions on how to verify the fingerprint. This ensures you're connecting to your DreamHost server. 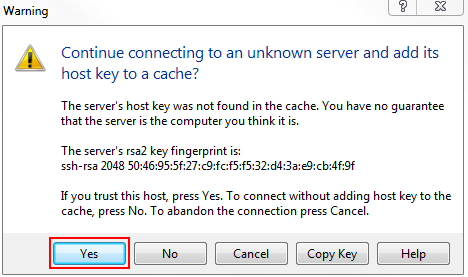 Once verified, click the Yes button to accept the host key and to save it to your cache for future reference. You'll only have to do this once (unless the servers host key ever changes). You can check your SSH keys in the SSH Keys page of your panel to compare against this warning. When you log in, you're in your user's directory. Here you'll see several folders. Look for your website folder and click into it. In that folder you'll see your site files which you can now edit. Article last updated April 08, 2019 20:34 PST.